The Year in Infrastructure 2014 Conference, held in London, was no exception. Innovation in Water, Wastewater, and Stormwater Network Modeling and Analysis is one of many categories that would seem obscure or even dull to most, but in fact the three award finalists were all exciting projects that are having a major impact on some of the fastest growing and most densely populated regions of the world. 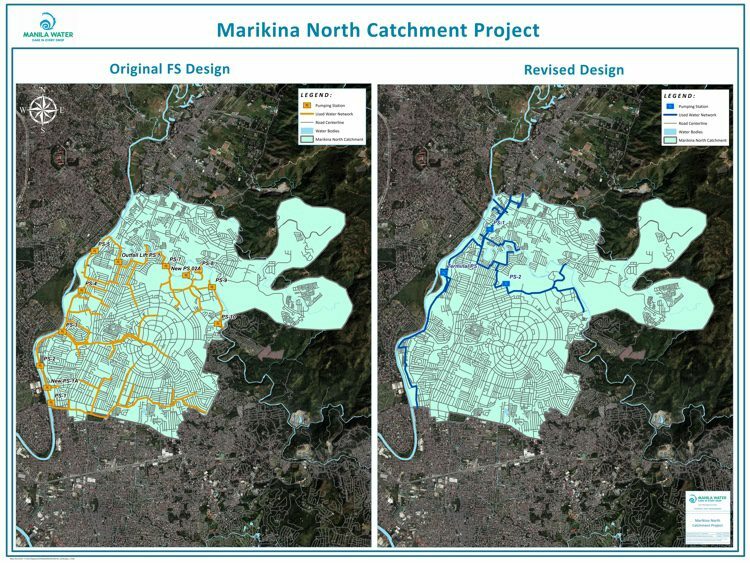 Literally millions, or tens of millions, will see improvements in their daily lives as a result of innovative water and sewer network projects completed in Delhi, India; São Paulo, Brazil; and Marikina City, Philippines. Engineering challenges that affected the project include rolling terrain, poor existing drainage systems, necessarily deep excavations, narrow roads, heavy traffic, and right of way issues. 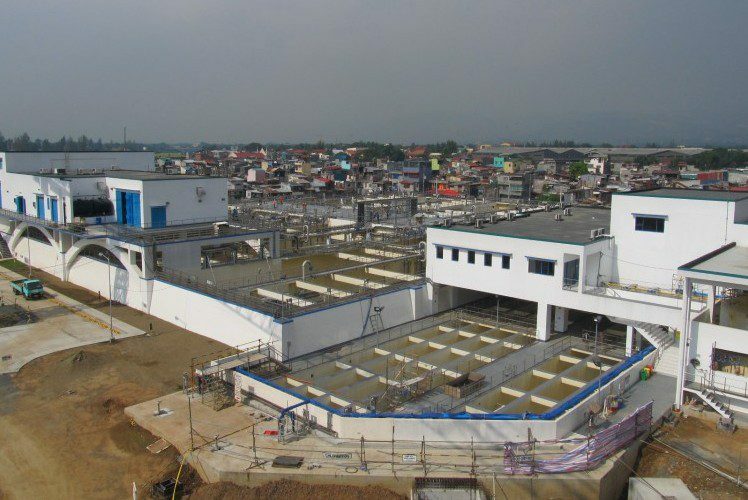 Manila Water Company used Bentley’s SewerGEMS to model and analyze the proposed expansion plans. 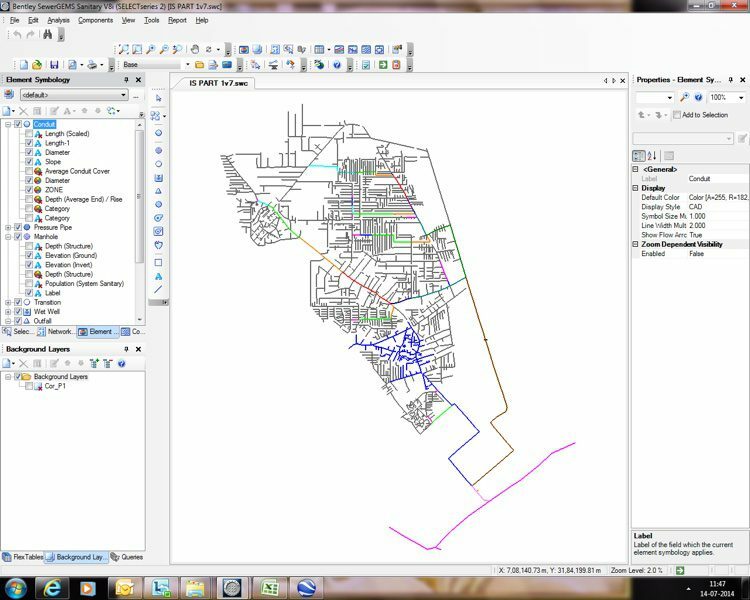 An existing GIS was used to quickly import terrain details in the sewer model, which in turn facilitated network route ‘optioneering’ that ultimately saved millions of dollars in capital and operating costs. Some of this value derived from Manila’s tight environmental restrictions—by lessening the amount of trees affected by the project, Manila Water Company greatly eased the permitting process for the project. By comparing routes using factors and constraints derived from the GIS, such as utility routes, environmentally protected areas, trees, and zoning, the Company was also able to reduce the number of deep excavations required, and the number of excavations near residential and environmentally sensitive areas. The National Capital Territory of Delhi is India’s capital district and the site of New Delhi, India’s capital and its second most populous metro area, with a population of about 25 million. But as early as 1971, the population was only four million, so obviously the region has grown rapidly, and in a way that has more or less outstripped planning efforts and infrastructure construction. Presently, only about 50 percent of NCT Delhi has access to a centralized sewerage system. In response to this challenge, the Delhi Jal Board (water and sewer department) commissioned the international infrastructure firm AECOM to develop a holistic, integrated, and sustainable master plan with a design horizon of 2031 to ensure that comprehensive, technically and financially viable plans are in place for the implementation of sewerage and non-sewerage improvement projects that will improve the general sanitation conditions and also improve and enhance the water quality in Yamuna River (the Yamuna is the Ganges’ largest tributary and, like the Ganges, important religiously). The project covers all of NCT Delhi, an area of 1,500 square kilometers, and is divided broadly into sewered and unsewered categories. For the sewered area, AECOM carried out performance audit of 30 existing sewage treatment plants at 17 locations, with design capacity of 512.4 million gallons per day, along with hydraulic modeling of all significant trunk sewers. The scope also includes flow-monitoring, wastewater sampling at strategic locations, and conditional assessment of 500 manholes. All of this work is intended to ‘dovetail’ the existing system into new projects in 2,200 unsewered districts, and also included topographic surveying of densely populated areas, and GIS integration. The model includes about 10,000 kilometers of existing sewer pipe. For AECOM, SewerGEMS was a way to not only model a huge system, but to do it in ways that integrated well with the project’s planning and design goals, as well as facilitating operations. Kumar says, “SewerGEMS provided us with innovative ways to design and simulate a big network with an integrated approach. By using pre-defined queries extensively, integration with GIS, and automated load calculations in different scenarios, we were able to quickly compare alternatives and generate meaningful outcome simulations and network calculations. We saved months and were ultimately able to plan feasible improvement over a long time frame and generate drawings, profiles, and reports with improved precision.” AECOM estimates that use of SewerGEMS reduced person-months to a seventh of initial estimates, enabling completion of the model and master plan within six months. This Sewerage Master Plan is urgently needed and will have a profound impact on NCT Delhi’s development. Notably, sanitary waste processing will be extended to millions, and pollution levels in the Yamuna River—which is the region’s major source of drinking water—will be sharply reduced. 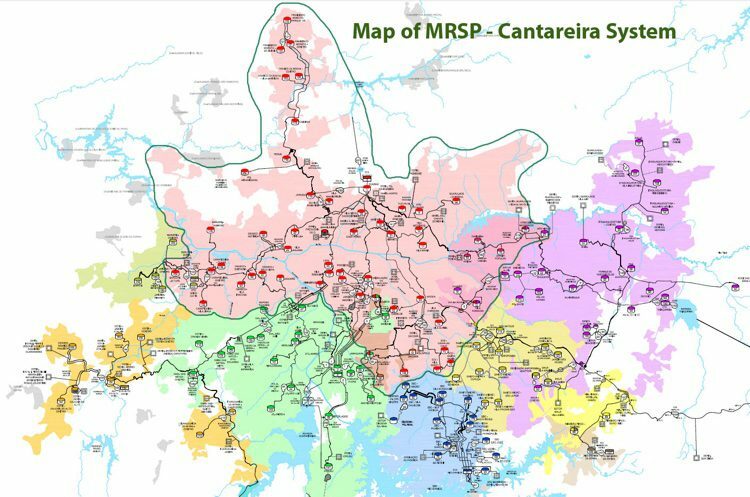 The region’s largest water network, the Cantareira System, serves about 9 million Brazilians. Some of the system’s numbers are eye popping; 33 cubic meters of treated water distributed every second, 550 kilometers of pipelines with diameters ranging from 600 millimeters to 2,500 millimeters, and water is transported between elevations of 700 and 1,000 meters above sea level. WaterGEMS’ interoperability with other systems was a big reason SABESP turned to Bentley solutions. The water company’s legacy supervisory control and data acquisition system (SCADA) and process industry modeling system (PIMS) both interfaced directly with WaterGEMS, as did existing GIS data, which made the model-building process much more efficient and cost-effective—the three data sources provided operating history, consumption figures, and field data. “Associated with WaterGEMS, these computer systems significantly reduced the project time required to obtain the actual field situation in the simulation,” de Freitas said. One concrete result of the modeling initiative is already being implemented. SABESP was able to analyze pipeline loads and carrying capacity, compared to projected growth, which allowed cost-effective planning of new pipeline implementation schedules and investment.